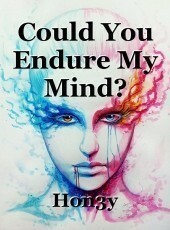 Could You Endure My Mind? could the world handle you? Exposure without limits of Depth. This pathological grime. Something I wish I could leave behind, but hold onto it, for fear of sanity not being able to survive. See, I've manifested in this place. Fought demons, fall short, just winning the race. Taste tasted every dance. Walked the walk with a different prance. I've swung my hair to make you fee,l like I was the sun. A burning sensation right on the tip of your tongue. Pick pocketed hearts to get my fix of normal. Flip flopped my ways to understand my morals. Abundance of ache that turned into passion. Temper tantrums that wake up the beast, in an uncomfortable fashion. I've cut strings to release you, you were something like me... A thick misconduct of an delusional pretty. Years of searching and avoiding attack. Years of hiding and watching my back. Neglected cream and caramel skin, forced to the unknown. Millions of miles I searched, still seeking for that home. They ask :Who are you? What do you like??? I like stirred up passion that melts your skin. I like the breath of a lover that makes you shiver and grin. I like the unknown, that's where the wild things live. I like to like, a sign of knowing what is. I like the hunt of unique capabilities. I like a rare soul, that one in infinity. Can you handle my flame? Rough sensitivity. Tender heart, thick layer of observation. Trust thrown around, with no intention of it landing in your station. This pathological grime. Something I wish I could leave behind, but hold onto it, for fear of sanity not being able to survive. © Copyright 2019 Hon3y. All rights reserved. A very strong write with brilliantly passionate descriptions. Well done!